IHeart Organizing: IHeart Giveaway: Lulukuku Decals! 993 IHeart Giveaway: Lulukuku Decals! Wall decals are one of my personal favorite inventions. Especially because I have a tendency to "switch things up" often or go that extra mile when it comes to bringing in added detail to a space or an organizing project. And because they are a product that can stick around for years or be removed without a trace, they are also a great option for those who rent or have the same "tendencies" as I do. Lulukuku decals are a fun and stylish way to decorate your nursery, home office, or any room in your home. The decals are made of an amazing matte vinyl that looks almost like paint when applied to your wall or another smooth surface. Their new line of dry erase decals makes it easier than ever to stay organized and motivated while treating yourself to something pretty. And you deserve it! They custom cut each vinyl decal to your specifications, so you can choose ANY COLOR combination you like from their color chart. They can also adjust the size to fit your space - or even flip the orientation of most of their decals. That's the advantage of custom work. As a husband and wife design team, they feel very fortunate to be able to work together, doing a job they love for the best customers imaginable - all while spending time with their children! They are really grateful to their amazing customers for making that possible! Prize: $100 Gift Certificate to Lulukuku Etsy Shop! For an additional entry, "Like" Lulukuku on Facebook and leave a comment on this blog post that you did. For an additional entry, "Tweet", "Pin" or "Like" an image from Lulukuku's Etsy shop and leave a comment on this blog post that you did. Giveaway Ends: Monday, February 13th at 9:00 p.m. Central Time. One winner will be selected using random.org and announced right here on this post on Tuesday, February 14th. The fine folks at Lulukuku are offering IHeart Organizing readers 20% off any order through March 14th using code IHEARTORG! I love the flower fun decal, would definitely get that one for my grand daughter's room! I "Liked" Lulukuku on Facebook and Pinned an imaged. My email is nicolebroffman@gmail.com. Darling! I would get the Nursery Vinyl Wall Decals - Grass Border for my son's room. I would get the large world wall map decal for sure! I've had my eye on something like this for a while!! Great shop-- thanks for sharing! I love the monkey tree decal! I "like" Lulukuku on Facebook! 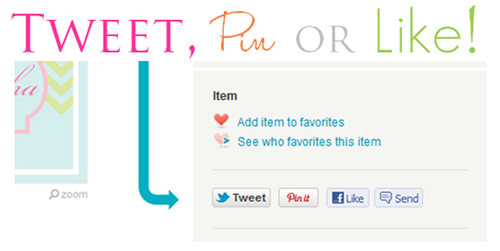 I pinned an item from Lulukuku! Hmmm, so many choices! Maybe the butterflies...or the world map! I would get the set of 3 Vintage Doily Nursery Wall Decals! They are adorable! I pinned the monkey decal image! I would choose the Owl Tree Decals in green! I LOVE the tree wall decal. And the weekly dry erase boards are so cute and fun, that I would have to get both! I liked Lulukuku on Facebook! Thanks for having a giveaway! I re pined the etsy owl tree decal! I would definitely get the Dry Erase Board Vinyl Wall Decals - Whiteboard Organizer Calendar - Chevron Bird - Colorful IHeart Organizing Boards - Love IT!!! I would get the Flower Fun Nursery Vinyl Wall Decals - nursery art - nursery decor. I love the green! I would do something custom. I am planning hanging pictures on my stairway wall and I want something for that wall. I also pinned one of her images! i liked lulukuku on facebook! I love the Large World Map decal! Love the Large World Map decal. I love the trellis nursery wall decal. I would probably get the world map decal for my wall - I have always been fascinated with travel! I like the shop on facebook. I also liked the Fleur-de-lis image. I love the Pomegranate Tree Decal..so cute and unique!!! I would get the weekly calendar. Or the fleur de lis for our New Orleans room. I pinned the Pomegranate Tree Decal on my Pinterest Account---loving that tree! I would get the tree branch decal with bird x2 - and create a family tree! Oh the dry erase boards! love! and I liked their facebook page! So colorful! Love the chevron & quatrefoil nursery decals w/ name. Great for my teen daughter's room. I love these! 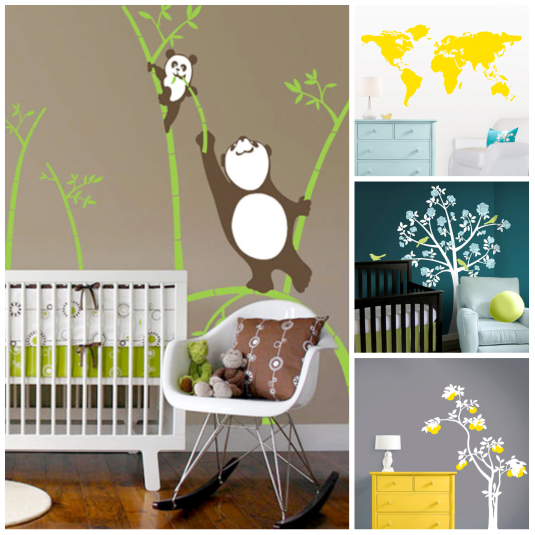 I would have a hard time choosing between the Panda Bamboo Nursery Decal and the Monkey Tree Decal! I Pinned the Owl Tree Nursery Wall Decal. Too cute! I've been dying to get some of these, but have a very very tight budget. Thanks for the opportunity!!! 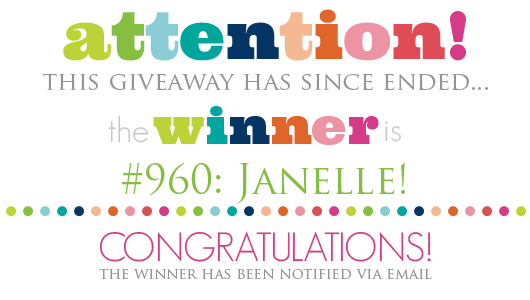 I've pinned it on Pinterest, twitted and if I win it, I will post it all over my blog!!! I would get the tree, so I can make a family tree with frames on my living room wall!!! I love the Chevron and Quatrefoil Nursery Wall Decal - Personalized Monogram Initial Baby Name - Zig Zag Decal...I would get two one for each of the girls for the new bedroom! Or the Nursery Wall Decal Border - Greek Key Border - Hollywood Regency Baby Room Decor...that's stunning too. So hard to pick! I hope I win! ... and of course pinned the tree. 'Cause who wouldn't?! I would get the weekly calender. I pinned the Tree Wall Decal onto my pinterest! I would have a hard time choosing, but the world map and the weekly calendar make me smile. I would choose the "Tree Branch Monkey Nursery" decal! I like the Weekly Calendar Dry Erase Board on Facebook! How fun, the Monkey Tree Decal is super cute and would go with the bedding i'm making my baby! If I won I would LOVE the Monkey Tree Decal - Mommy and Baby. I wanted my husband to paint something like this on the wall when we first set up the children's room. I love it. And really LOVE all of them. Its a toss up between the Elephant Nursery scene or the Tree Branch with Birds. Both are so adorable! I "liked" Lulukuku's on facebook. Beautiful!! How on earth could you decide what to choose?!? I think my favorite is the Chinoiserie Flower Tree, but I also love the weekly calendar and the tree branches with birds for shelves. Gorgeous!! I am pregnant with our first child and I'd love to get the Owl Tree Decal for our nursery!! like the cherry blossom border and love the decal and wall color of the flower tree wall decal. I pinned an image on Pinterest! I PINNED the Owl Tree Decal and the Tree Branch Decal for shelves! So cute! i would choose either the owl tree wall decal or the owl flower tree wall decal. so cute! I "liked" Lulukuku on Facebook!! I "liked" Lulukuku on Facebook. I Looooove Children Wall Decals - set of 3 vintage doily decals. Super cute!! I would love the large World Map...my son loves maps and it would be perfect in his room! I would love to get one of the Flower tree decals for our new nursery! I also pinned the flower tree! I pinned my favorite on Pinterest! I "tweeted" the Monkey tree decal!!! I would choose the Owl Tree . . . for our church nursery. We just moved into a new-to-us building (it's over 120 years old though) and want to do a woodsy theme for the nursery. This would be perfect! Thanks for the giveaway! Since we have lived in two states and two countries since our daughter was born, I would love to put the large world map decal on her wall! Thanks for a great giveaway. I really like any of the tree branch decals. They could work in any room and they are super cute! I would LOVE to add the world map in blue to my son's room decor. I pinned it on pinterest as well. These are super fun. I would get the Chevron and Quatrefoil Nursery Wall Decal - Personalized Monogram Initial Baby Name - Zig Zag Decal. Love it! I would love the weekly planner for our kitchen wall, maybe then we could keep track of things and people better! I would definitely get the Large World Map Nursery Wall Decal in Chocolate for my son's room. I also liked Lulukuku on facebook. I liked it on Facebook - thank you for doing this! I like Lulukuku on fb. I pinned the Panda Bamboo Nursery Art....Toooo cute!! Toss up between the owl tree or the tree branch for shelves. I also like the dry erase calendar. i pinned the pink/green weekly calendar decal, then tweeted it. Wow! The cherry blossom borders and the tree branch decals are my faves, but really, all are so sweet! oh wow, my favorite, well, I have two, the butterflies and the flower fun. I also pinned the butterflies on pinterest and liked it on facebook. I would pick the grass! :o) That border would look great in my kiddo's room. Even though I wouldn't put in a nursery, I love the Chevron Nursery Wall Decal! Love!!! 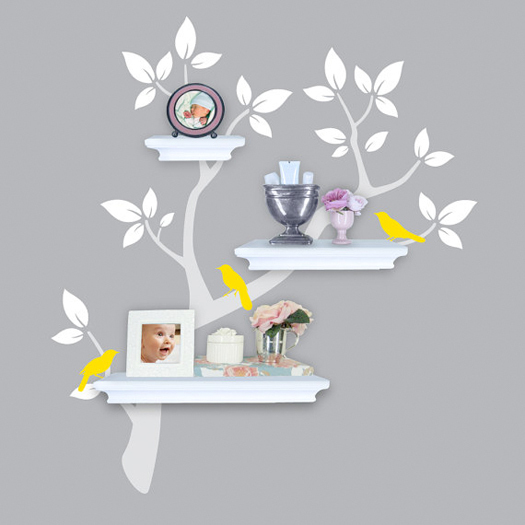 I would (and most likely will order) love the tree branches with yello birds. So cute!! I would get the owl tree in the purple and grey! I would pick one of the tree decals. I love the way they look! I liked it on facebook! I would get the world map decal or owl tree decal. I also liked lulukuku on facebook and pinned a decal. I would choose the dry-erase decals. I would get the large world map decal. We have been learning about geography by having people send up postcards from around the world. This would be a great background to display our postcards. I liked Lulukuku on fb! 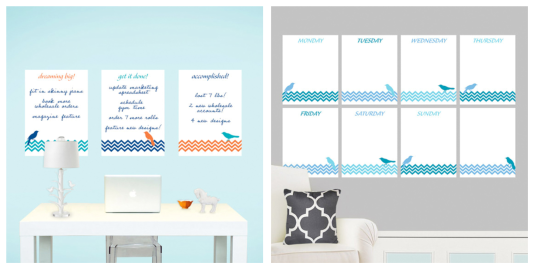 I would get the Weekly Calendar Dry Erase Board Vinyl Wall Decals - Whiteboard Weekly Organizer Calendar - Chevron Bird. I would love it for our home office space! I like the world map and to-do dry-erase boards. I absolutely love the Flower Decals for the Nursery. These would look amazing in our dining room and would definitely add some "wow" stacked, since we have tall ceilings. I love the grass border. It'd be perfect for the Vegetable Garden Themed Nursery we're making for our daughter. I pinned the grass border on Pinterest! I liked Lulukuku Decals on Facebook! I don't usually sign up for giveaways but am working on creating my daughter's Big Girl Room for her 3rd birthday next month and saw these precious decals! They are too adorable!!! I would love to get the Owl Tree Wall Decal! I would love the map of the world! We have a ton of gray wallspace in our apartment right now and a map of the world would be just the ticket to brighten it up. I just pinned the Nautical Nursery Decals, they are perfect for my son's room. I liked them on FB too. I would use the gift card for the Nautical decals, and probably one of the trees...there are so many cute designs, it would be hard to choose!!! But I will take that challenge!! I also pinned the dry erase board. I pinned Lulukuku Decals on Pinterest! Oh how lovely!! I would pick the world map...it would be perfect in my son's nursery!! I "liked" Lulukuku on Facebook...why didn't I know about them sooner! I pinned the wall border on my pinterest board! I just "LIKED" them on Facebook! If I could pick anything on their site I think I would go for a wall border...the options are endless and I could use them anywhere!!! I love these decals. I would get the world map for my son's room. He loves maps!! I would pick the Tree Branch with Bird Decal. They are all so cute though, hard to choose. Awesome! I would pick the To Do boards. So cute! I LOVE the world map decal! I love the to do boards, and the flowery trees! I would choose the Chinoiserie Flower Tree decal for a baby girl room. Here's hoping I have a baby girl sometime in the future! I like the weekly calendar and To Do dry erase boards, not sure where I would put them yet, but they look super cute and super fun! I pinned the Chinoiserie Flower Tree image! Im in love with the Chinoiserie Flower Tree!! So lovely! I would pick the Large world map wall decal (for a future nursery!) or the to-do boards..such a pretty way to do lists : ). I would be delighted if I won -- Dry Erase Board Vinyl Wall Decals Whiteboard Organizer Calendar - Chevron Bird "To Do" Boards. This would be perfect for our new home office! I would pick the Weekly Calendar Dry Erase in Teal or Medium Gray. Keeping my fingers crossed. I love the pink and white owl tree. I pinned the cute owl tree on pinterest. So sweet! I also Pinned 2 pictures from this post. I like all the different tree decals and the wonderful colors! And the panda bears are adorable! I like the world map. Very cool! I would either go with the Greek Key Border - Hollywood for my son's room, or go with a custom order if he does not agree with my choice (he's 8). How do I leave my contact info anonymously?? I "liked" Lulukuku on facebook : ). I also pinned one of their decals - but not the one I'd choose if I won. I pinned the panda in the bamboo tree, because if I have another child, I definitely want a panda nursery! I pinned the Large Wall Map. If I won, I would choose this: Dry Erase Board "To Do" Boards - Vinyl Wall Decals - Whiteboard Organizer Calendar, because it would be SOOOOOO wonderful in my kitchen! I would pick the Owl Tree Wall Decals in purple/pink/grey. Love the world map- would use it on my sons' room which is on "the list" to be freshened up. Thanks for introducing a great product and for the give away! OMG I love their stuff...but I'm all about the organization...and need it desperately! So I'd love the "To Do" dry erase boards for the office and calendar.